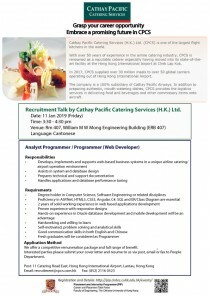 Recruitment Talk by Cathay Pacific Catering Services (H.K.) Ltd. Registration will be closed at 11:00, 11 Jan 2019. Those who are not registered may try to walk in on a first-come, first-served basis. We offer a competitive remuneration package and full range of benefit. 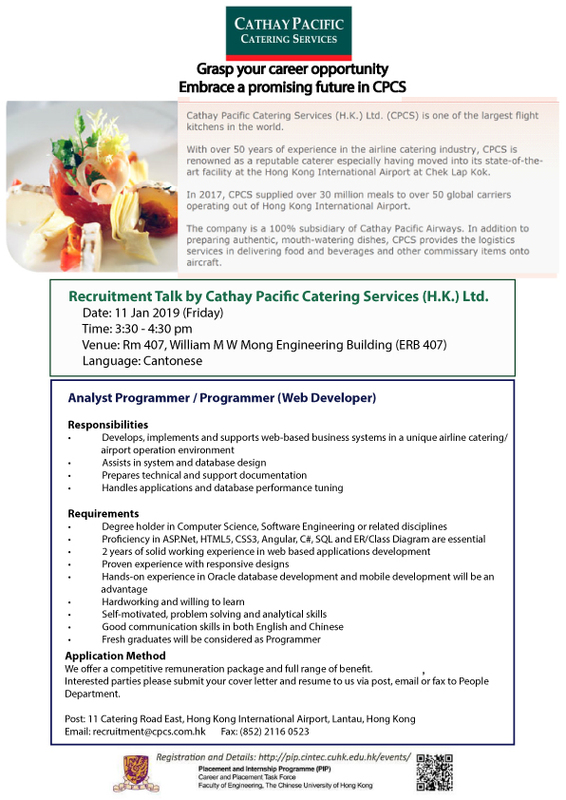 Interested parties please submit your cover letter and resume to us via post, email or fax to People Department.